LightShot is an easy PRINT SCREEN replacement tool for Windows, or in other words a screen capture utility with several enhancements. The program's main enhancement over the built-in Windows tool is the fact that it can capture designated areas of the screen without having to open it up in an image editor to perform cropping. Also included is an online photo manipulation tool. The online editor included with LightShot can modify the size of your screenshot, apply several different effects and save them as either PNG, JPG or BMP files. Version 5.4.0.35 is a freeware program which does not have restrictions and it's free so it doesn't cost anything. 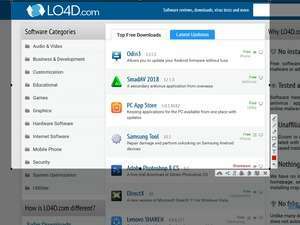 For security reasons, you should also check out the LightShot download at LO4D.com which includes virus and malware tests. Additional screenshots of this application download may be available, too. 4.5 out of 5 based on 62 ratings. This title has received our Editors' Pick award. LightShot has a presence on social networks. LightShot download been highly rated by our users.